In the woods near Nottingham, old men still tell tales peppered with fairies and tree people coming to life. Exclusively for Toscano, the artist selected a pliable composite that wraps around your tree and gives expression to those fabled spirits of old. This work is so realistic, your guests will think your forest is springing to life! Attaches to your tree! 8.5"Wx3"Dx15.5"H. 1 lb. 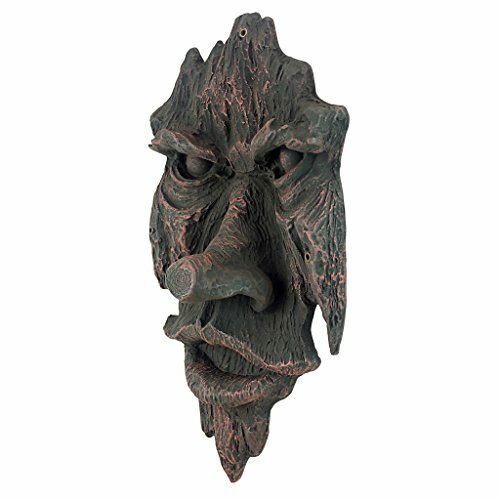 ADD LIFE TO YOUR GARDEN - If your yard ornaments include bigfoot, a gargoyle, a few funny gnomes and a fairy or two, then our Spirit of Nottingham Woods tree hugger will fit right in! OUTDOOR TREE DECORATIONS - Surprise people in the neighborhood young and old by hanging up our outdoor tree faces who's eyes look so real you'll think the woods have come to life on Halloween night!